Find yourself the perfect package! We offer one of the widest variety of heli-skiing packages out there. We have something for the hardcores, the granola munchers, families and the regular dude. So how do you choose? We've created this cool little package finder to help you narrow in on your ideal program. Just click in some, or all, of the circles that correspond with what you are looking for. 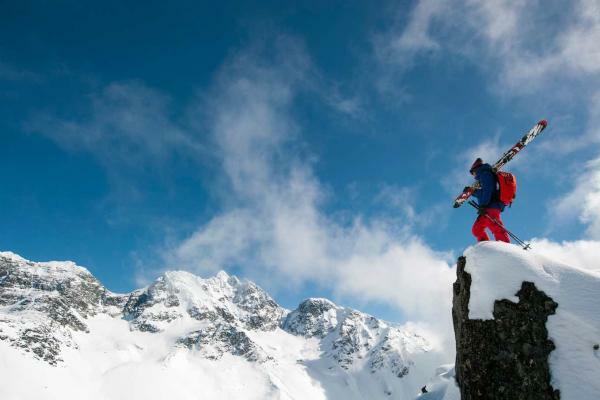 Alternatively, drop us a line, we love talking about heli-skiing! Specialty Heli Assisted Ski Tour Heli-skiing meets ski touring! Get a heli drop in the morning to ski a different zone each day. Earn your turns & stay the night in comfort. Private Heli-Ski Safari Score 1st descents & explore un-named valleys by skiing +200km thru the rugged Coast Range, starting at one lodge & finishing at another! Specialty Steep Skiing For experienced riders only, our Steep Skiing program is for true EXPERTS! Push your envelope with safety in mind. The gnarliest heli-skiing in Canada! Private Semi-Privates Similar to our Private program, but for 8 people. Perfect for a crew of buddies wanting to rip and great for families wanting their own program. Vertical WINTER WONDERLAND Machen Sie sich bereit für das beste Familienerlebnis aller Zeiten.